Inshore fishing in North Myrtle Beach is a pastime for all seasons. This adventure might take you through intracoastal waterways, backwater streams, or out into the Atlantic Ocean. Inshore, the waters are calm and many sought-after species are biting year-round. Anglers of any age or skill level can enjoy this style of fishing, from the lifelong fisherman to wonder-eyed child casting lines for the very first time. 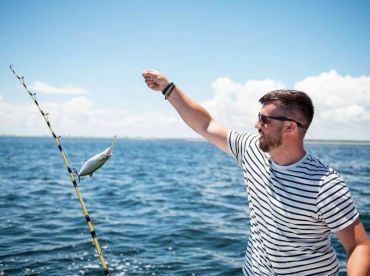 You will find a wide variety of species swimming inshore, including Redfish, Speckled Trout, Flounder, Sheepshead, Black Drum, Spanish Mackerel, Bluefish, Black Seabass, and several kinds of sharks. 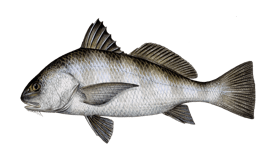 Black Drum, Spanish Mackerel, Bluefish, Sharks, and Cobia tend to flock to the inlet jetties, while Redfish, Flounder, and Speckled Trout are found in large numbers further inshore. 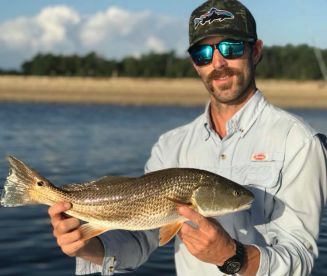 Autumn is considered the best time for inshore fishing in North Myrtle Beach, when large Redfish flock follow schools of Mullet into the inlets and rivers. You will find Stripers in the creek mouths from Fall through mid winter, as well. 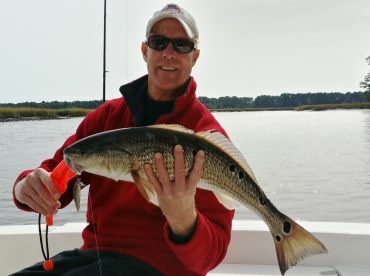 You can enjoy fishing for Redfish, Sheepshead, and Speckled Trout through winter, even when other species are scarce. 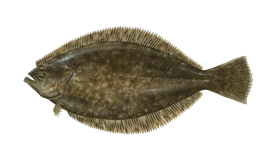 Flounder arrives in spring and will stick around until late fall. Fishing between April and October gives you a chance to catch as many different species as possible, since almost all of them are biting through the summer. 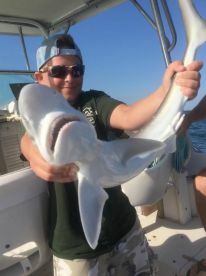 For an especially hard-fighting catch, you can enjoy fishing for a variety of sharks from May through October, when many of them are preoccupied with large numbers of baitfish near the jetties. Anglers in North Myrtle Beach enjoy fishing for many of these species with light tackle. 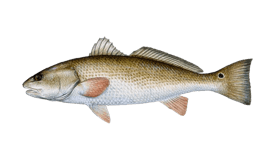 Common techniques include spinning, drift fishing, and live bait fishing for Redfish, Speckled Trout, and Flounder. 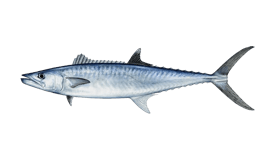 You can bottom fish for Seabass and certain Shark species, in addition to trolling for Sharks, Spanish Mackerel, and Bonito. More experienced anglers target some species like Cobia and Redfish by sight fishing. You can also target many species on fly. 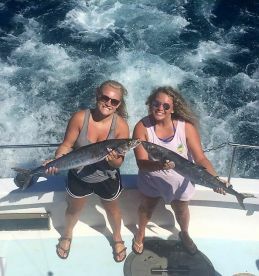 What can I expect on an inshore charter? 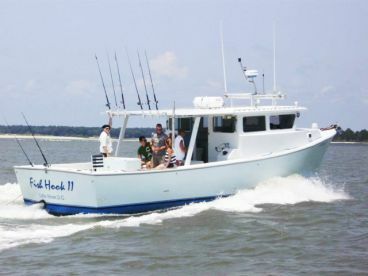 You will find many North Myrtle Beach fishing charters to choose from, and every captain strives to provide a unique inshore fishing experience. Prices vary depending on where you plan to fish and how long you want to stay there. Half day inshore charters last four or five hours. 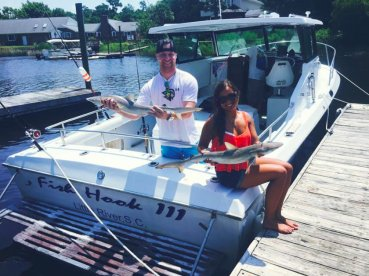 Some of these charters focus on hunting for Redfish, Flounder, and Speckled Trout in the backwaters, while others will take you to the inlet jetties or just off the beach. You can expect to pay between $350 and $500. Six hour trips usually cost around $600 while full day trips are $700-$750. Most North Myrtle Beach fishing guides provide a saltwater fishing license, tackle, and bait. Many will also offer to clean and fillet any eating fish that you catch.